China 'Revives Marx'; What About Jiang Zemin? [Analysis] Why does Hu Jintao accelerate the implementation of the Marx Project? Mr. Hu said, "the 'Yan'an soul," rooted in the soil of Yan'an, is the most valuable spiritual property." He further emphasized that the "Yan'an soul" should play a key role in enhancing people's solidarity in building a society in which earning one's daily necessities would not be a problem. ("Xiao Kang" society). Yan'an is a holy site of the Chinese socialist revolution led by Mao Zedong. Being blockaded by Nationalist forces, the Red Army began its retreat - the "Long March" (Changzheng) of 9,600km (6,000 miles), in 1934. After confronting all kinds of hardship, the army finally settled in Yan'an, where it could maintain its revolutionary authority, enabling it to declare the establishment of the People's Republic of China (PRC) in 1949. After the reform and open-door policies, however, the east coast became the center of China, and Yan'an deteriorated into a typically impoverished and underprivileged rural town. Indeed, it was unexpected that President Hu would pay a visit to this forgotten city. As can be gathered from his visit to Yan'an, the symbolic site of the Chinese socialist revolution, on New Year's Day, President Hu is at work on something that appears outdated at first glance: the Project on the Foundation and Establishment of Marxism. The Project is sponsored by the government of China, much like the well-known Northeast Asia Project. While Russians are debating whether Lenin's grave should be relocated from Red Square in Moscow to his hometown and his remains conventionally reinterred there, China seems to want to revert to the past. The Communist Party of China (CPC) decided to launch the "Marx Project" in January 2004. After convening preliminary conferences, the CPC officially established the Research Institute of Marxism under the Chinese Academy of Social Sciences on December 26, 2005, the birthday of Mao Zedong, thus expediting implementation of the Marx Project. According to the Nov. 2005 issue of the weekly Ryowang Dongfang (Oriental Outlook), a magazine specializing in current political affairs in China, approximately 300 researchers are currently engaged in the Project, and about 20 conferences have already been convened. The Marx Project is an ideological prescription in response to the serious problems arising from income inequality. 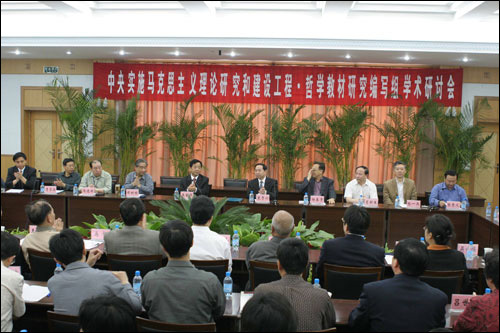 The Vice Secretary-General of the Translation and Editing Bureau of China (the special agency for translation), Yang Jinhai, explained that the prime goals of this Project are research into basic Marxist theory, the compilation of high school textbooks, and the practice of Marxism in the real world. He said that incidents and problems after the reform and opening were caused by people's uneven comprehension of Marxism. 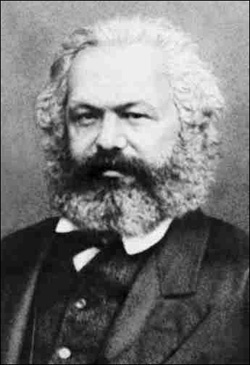 Mr. Yang pointed out that people in universities have read only western versions of the collected works of Marx without guidance from the Party, resulting in much confusion. 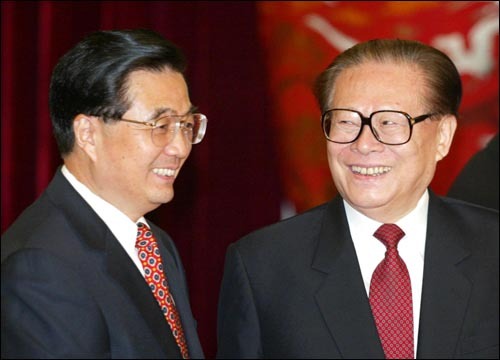 Deng Xiaoping and Jiang Zemin considered "building national wealth" as a top policy priority. They believed that once some classes and regions gained wealth, others would benefit. While building wealth, however, income gaps and inequality between different classes and regions became extreme. President Hu, who took over the reins of the Party, the military, and the government in 2004, focuses on building a "society of harmony" and solving the problems of inequality. The 770 million-person farm population, which was 60 percent of the total population of 1.29 billion in 2003, poses serious problems. According to the 2003 statistics of the National Census Bureau of China, the average annual income was 2,622 Yuan ($325) in rural areas and 8,472 Yuan ($1,052) in cities. It is commonly believed that the actual gap between rural and urban areas is even larger than this official figure. It is still unclear, however, if the Marx Project can be effective in practice. New leftist groups in China accuse the CPC of being a party for the wealthy. They criticize that the CPC plan for an egalitarian society is merely a "political gesture" in order to temporarily defuse social unrest. "A strategy to get rid of Jiang Zemin and the Shanghai Clique"
Some media in the Chinese speaking-world see the Marx Project as a strategic run-up to get rid of Jiang Zemin's political influence. Indeed, Jiang's "Three Represents" Theory abandons orthodox Marxism, which sees the communist party as "the composition of the most advanced elements in the proletarian class." The "Three Represents" is understood as an effort to transition the CPC into a developmental dictatorial party such as the Republican Party or the Democratic Justice Party in Korea in the past. Therefore, while talking positively about the "Three Represents," Hu Jintao may, in fact, be trying to eliminate the influence of Jiang Zemin and the Shanghai Clique. In any case it is clear that President Hu is taking an increasingly different path from the expectations of the Western world. When he became the top leader of China in 2004, Western media and intellectuals hastily anticipated that the young and energetic Hu Jintao would try liberal reforms such as a multiparty system, moving further away from socialism. This article originally appeared in Korean.